Scouting for Boys is a startling amalgam of Zulu war-cry and imperial myth, it combines tips on health and hygiene, lessons in woodcraft, adventure stories and survival techniques. Thoroughly recommended by Ray. Elleke Boehmer's edition of Scouting for Boys is the first to reprint the original text. 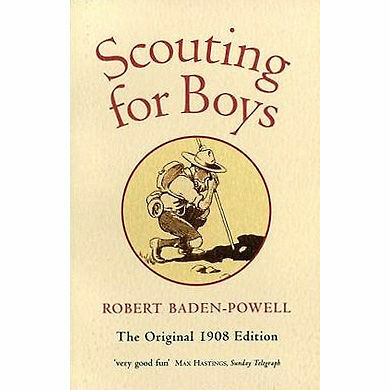 Robert Baden-Powell's Scouting for Boys, first published in 1908, is the original blueprint and self-instructor of the Boy Scout Movement. Scouting for Boys is rated 5/5 based on 2 customer reviews. Excellent service, very fast shipping and great communication. Book itself is full of information, weather you would like just to know how to create, lead and structure an boy scouting group or tricks and traits of scouting. Very good read for anyone who is interested in nature and how to make the most of it. Amazingly funny and, oddly, extremely useful! Has given me loads of ideas for forest school activities.